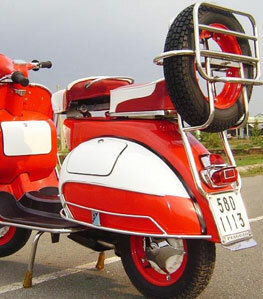 The Aprilia scooter range currently features 2 different models, the Aprilia RS 125cc and the Aprilia Tuono 125cc ABS models, both available through Scooter Crazy. The Aprilia RS 125cc is an aggressively styled scooter which offers young and new riders the 'Big Bike' experience in a smaller capacity vehicle. The most advanced in its class and makes the maximum power permitted for a learner. The sleek fairing and aluminium frame produce a much sort after look amongst sports riders, but the vehicle is also suitable for everyday use thanks to it's reliability and performance. The Aprilia RS 125cc is available to order now. Call a member of our sales team on 01226 203377 for further details. 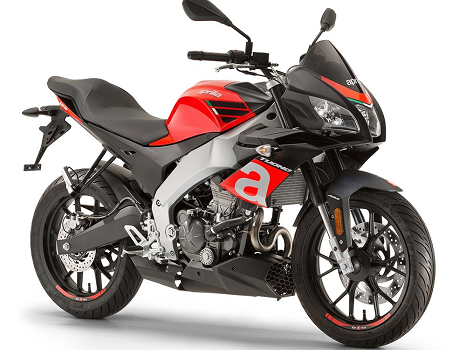 The design of the Aprilia Tuono 125cc is inspired by a combination of the Tuono V4 1100, the record-setting Street Fighter, and the highly decorated RSV4. Offering a superior amount of power and performance from a 125cc learner legal bike. 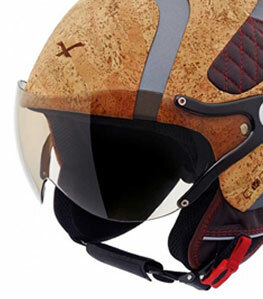 The graphics are sporty and aggressive, bright and stylish, making the rider really stand out from the crowd. The bike comes with ABS assisted breaks as standard for safety in all weather conditions!